Campos Coffee began working with the Colbran Family at Baroida Estate farm in Papua New Guinea, back in 2009. The Colbran family play an integral role in improving the local infrastructure and supporting the surrounding community by providing local services such as bridges, schools and roads. An exciting project that Campos has been working on at Baroida Estate, is funding an entire school building for 68 children - allowing these children access to education locally. The Baroida Estate coffee is a perfect example of the Campos philosophy ‘quality coffee cultivated by good' at work, as not only does this single origin taste great, but it’s helping to better the lives of the communities which cultivated it. 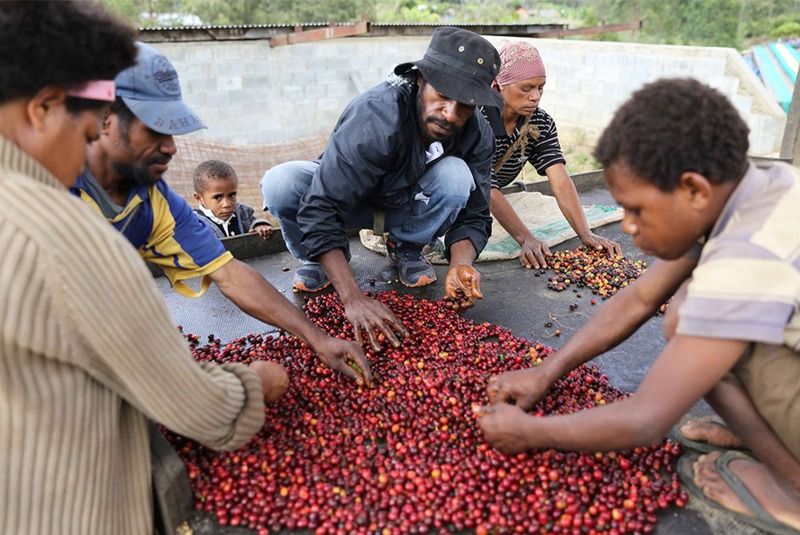 "One of the reasons we work directly with the producers of Baroida Estate (our coffee of the month) in PNG is the role they play in supporting their local community. To join their efforts, Campos built a schoolhouse for 68 children at the estate. Now, instead of trekking for two hours each day to attend school, local children have access to excellent education right at their doorstep." Check out Campos Coffee's website to read more about this story here.